We cordially invite you to participate in the 41st annual international conference of Computing in Cardiology, which returns to Cambridge, Massachusetts from Sunday, 7 September through Wednesday, 10 September 2014. 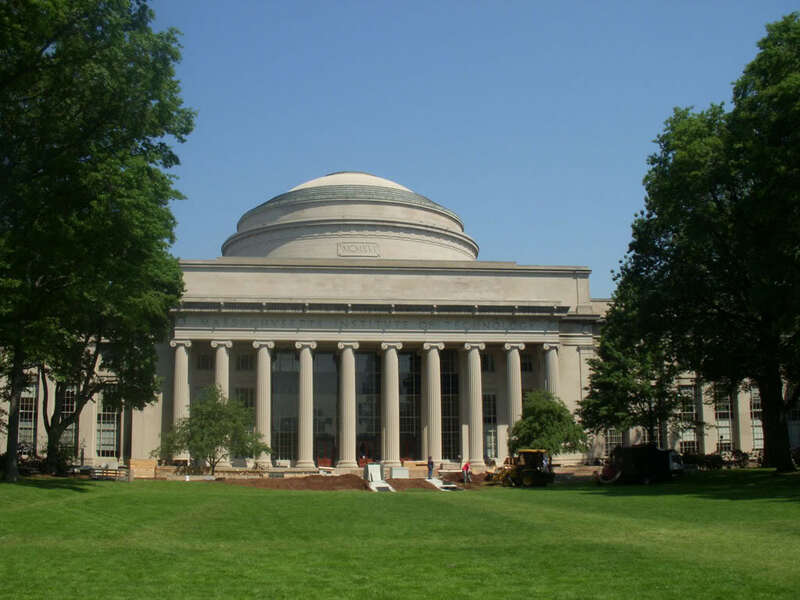 Cambridge is the home of the Massachusetts Institute of Technology and of Harvard University. The conference will be hosted by MIT's Laboratory for Computational Physiology. Abstracts and early full papers may be submitted at any time until 15 April. Detailed instructions are in the Author's Kit. All submissions must be made via the CinC abstract and paper collection site; submissions made by email or postal mail will not be considered. Computing in Cardiology (formerly Computers in Cardiology) is an international scientific conference that has been held annually since 1974. CinC provides a forum for scientists and professionals from the fields of medicine, physics, engineering and computer science to discuss their current research in topics pertaining to computing in clinical cardiology and cardiovascular physiology. * Note that the abstract and early (including YIA) full manuscript deadline has been changed this year, and is more than two weeks earlier than in previous years. Don't miss the deadline! In order to reserve their places in the scientific program, all authors must confirm by 15 July that they will present their accepted submissions at CinC 2014. The registration fee increases after 15 July, and rooms reserved in the conference hotel at a discounted rate for CinC attendees may not be available after that date. Situated on opposite banks of the scenic Charles River, Boston and Cambridge are lively, surprising, multicultural, emininently walkable cities with excellent modern public transportation, and nearly four centuries of history. Over 100 colleges and universities, with over 250,000 students, contribute to the cities' cultural life and diversity. Among the area's major attractions are the Boston Museum of Fine Arts, the Isabella Stuart Gardner Museum, the Boston Symphony Orchestra, the USS Constitution, and (for baseball fans) Fenway Park, as well as dozens of smaller but noteworthy landmarks, musical and theatrical performing groups, parks, museums, and the waterfront, harbor, and its islands. During the social program, attendees will sample some of these hidden gems. Boston is easily reached by non-stop flights from Amsterdam, Dublin, Frankfurt, Lisbon, London, Madrid, Munich, Paris, Rome, Tokyo, Zurich, and many major cities in North America. The conference venue, the Royal Sonesta Hotel, is on the Cambridge bank of the Charles, three miles (five km) from Logan International Airport and adjacent to Boston's Museum of Science and a variety of restaurants and shops. The hotel provides free shuttle service to MIT and to other nearby attractions. The conference will begin on Sunday, 7 September, with an afternoon symposium on the MIT campus in the Media Lab, about a ten-minute walk from the main conference venue. The scientific sessions will begin on Monday morning with the opening plenary session of presentations by the four YIA finalists (see below), followed by parallel sessions. Monday afternoon and evening will be devoted to the traditional social program with opportunities for activists and passivists to explore the Boston and Cambridge area, followed by a gala dinner. Parallel and poster sessions will continue on Tuesday and Wednesday, ending on Wednesday afternoon with a closing plenary session, including selected talks and presentations of the YIA, Challenge, and poster awards. Optional post-conference tour programs and workshops will be announced later this spring. This year's challenge is the 15th in the annual series which we established at CinC 2000. Its topic is Robust Detection of Heart Beats in Multimodal Data, and it aims to accelerate development of open-source research tools that can reliably, efficiently, and automatically analyze continuous long-term data from bedside monitors and similar devices that record not only ECG but usually other physiologic signals as well. The first phase of the challenge began on 7 January and continues until 7 April; the challenge resumes following the CinC abstract deadline on 15 April, and continues until 15 August. Participants wishing to be eligible for Challenge awards will need to submit an acceptable abstract describing their work on the Challenge no later than 15 April 2014, and must attend the conference to present their work. The most successful eligible participants in each of the three phases of the Challenge will receive awards during the closing plenary session at CinC on Wednesday afternoon, 10 September. For further details, visit http://physionet.org/challenge/2014. To recognize, celebrate, and promote excellence in poster presentations at CinC, former CinC president Bill Sanders and his wife, Gary, established the poster awards in 1997. In gratitude for their many contributions to CinC throughout its entire history, the CinC Board named the Poster Awards in honor of Gary and Bill Sanders. This year's awards will be presented during the closing plenary session on Wednesday, 10 September, to the authors of the three posters judged best in each poster session by a jury of Board members and selected attendees. All posters presented by their authors during the poster sessions are eligible to win an award. For details, see http://www.cinc.org/poster.shtml. Three programs are available to help young investigators to participate in CinC 2014. All of them require submission of a full (4-page) manuscript, a separate conference program abstract (300 words or less), and proof of eligibility, no later than 15 April 2014. Follow the links below for detailed rules and information about applying for these programs. Participants in the Rosanna Degani Young Investigator Award (YIA) competition receive a 50% reduction in registration (more for finalists). New this year: Winners of Mortara Fellowships receive grants of up to $2000 toward travel, registration, and other expenses of participating in CinC 2014. Other young investigators who submit full papers no later than 15 April, and meet other requirements, receive a 50% reduction in registration. Don't wait to hear if your abstract has been accepted -- by then, it may be too late! You will need a visa to attend CinC 2014 unless you live in or are a citizen of the USA, or you are a citizen or national of Andorra, Australia, Austria, Belgium, Bermuda, Brunei, Canada, the Czech Republic, Denmark, Estonia, Finland, France, Germany, Greece, Hungary, Iceland, Ireland, Italy, Japan, Latvia, Liechtenstein, Lithuania, Luxembourg, Malta, Monaco, the Netherlands, New Zealand, Norway, Portugal, San Marino, Singapore, Slovakia, Slovenia, South Korea, Spain, Sweden, Switzerland, Taiwan, or the United Kingdom. Visit the web site of the US State Department's Bureau of Consular Affairs at http://travel.state.gov/content/visas/english.html for further information. Questions may be directed to cinc-2014@cinc.org.